I was flipping through old picture albums and looking at pictures online from years past and started to think about what kind of “girl” I am. What is my style? I guess I am a gal that likes to push the envelope…not in an extreme sense but I am always changing my styles. I live for aviator sunglasses because I think they give any look that bit of an edge. My hair has been about 500 different colors, lengths and styles and I love it. I do not fear change at all when it comes to my hair. A lot of girls get terrified of even cutting 2 inches off of their hair but I am the type that decides to cut 7 inches off my long locks and streak it bright pink. I am not punk. I am not Emo. 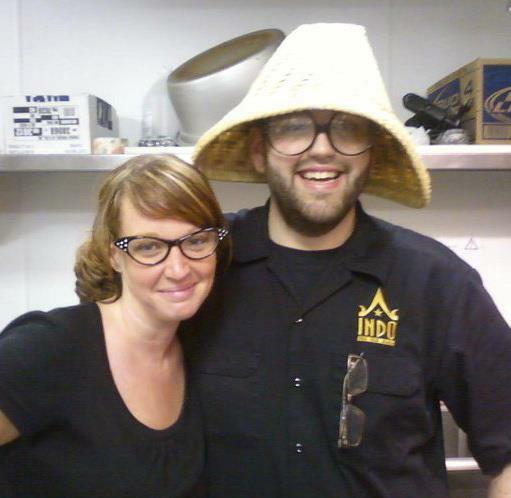 I am not hippie. I really have no idea how to classify myself. I just like what I like. My style is more or less designed around my mood which is always changing. I have a curvy body and do wear some things that are form fitting to show off my waist (which I love) but I have always felt the most comfortable in really pretty, flowy clothing. Clothing that suits being outside but still feels feminine and delicate. 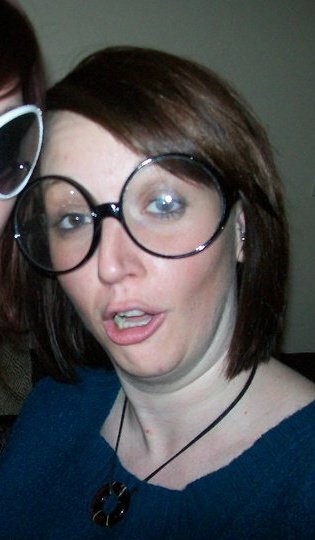 I believe my personality (more or less) reflects a sense of ease with a touch (ok more than a touch) of silliness. I love the buy silly things that people can try on and wear to make the situation at hand way more fun. 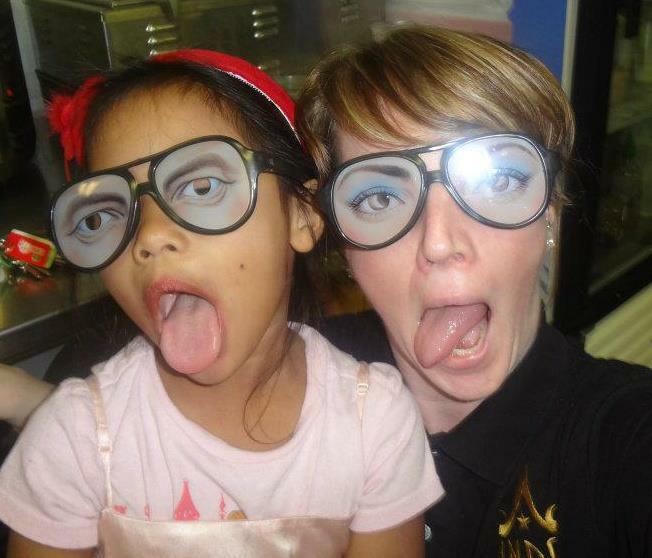 I work at a Thai restaurant and I am constantly bringing in silly glasses for people to wear. 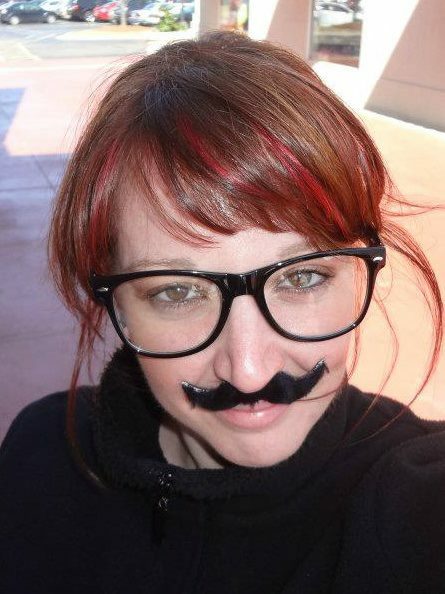 I (just yesterday) bought fake mustaches—because let’s face it there is nothing funnier than fake mustaches. I have been feeling kind of nauseous today (I am hoping it is not a stomach bug going around—yuck) so I decided instead of writing a whole bunch to answer this question I would post a bunch of different pictures of myself to reflect my style and to allow my readers to get a better idea of who I am. Diane in all forms. :0) Hope you enjoy! Love the last picture, love high heels, can’t wear them cos I am 5’8 like you but my man is 5’7…and a half…I am duly informed, so not good when we go out if I look like a giraffe in 4″ heels! To answer your question, I like to think of my style as functional compared to fashionable. I normally wear colors associated with my work (a lot of black, since technicians in stage work have to wear black when working backstage). i have those same cat glasses with “real” rhinestones. i love wearing them! 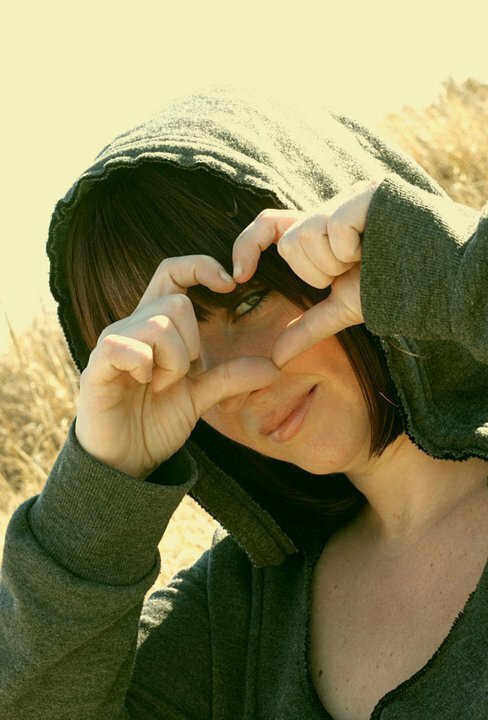 Love your whimsy! Celebrate! My “style” is pretty much basic for most days, but some embroidery and flounces and drapes for special days and places and times! Also, I love my jogging and hiking attire! I think I secretly want those exercise clothes to be the “real” me! Now, my life is so immerse in my return to full-time writing that I am pretty much a basic, classic dresser a lot more than I used to be. Oh, well! There’s always next year! 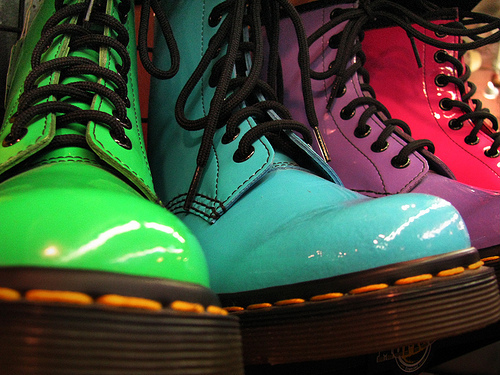 Love the Doc Martins!!! loved the post. Man, I want some of those glasses with the eyes on them! I also buy heels and seldom wear them. Like you, if I do wear them, it’s only for a bit, then I’d switch on to my trusty flats. I find it interesting how many people seem reluctant to describe themselves as falling under any one category – in this way I’m the same as you! “Not too much this, not too much that … ” But it makes me think more carefully too – how often must I be wrong when I think someone I know is totally “one of those types”?